Some say they’re bloodthirsty ravagers, others say they’re just a pestilence upon the galaxy. 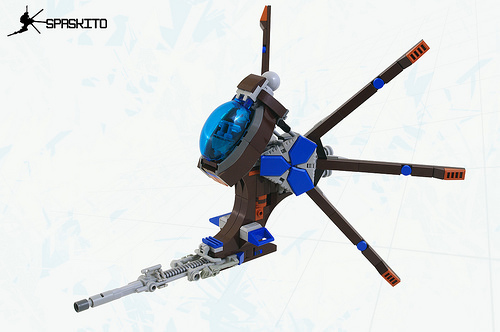 Whatever the case, we can agree that the Spaskito, the stringing-est spaceship to ever buzz your planet, is terrifying, with a huge blaster and six wing spikes. Built by F@bz, this little craft makes great use of the Nexo Knights hexagons (aka Nexagons) for shields on the ship’s sides. 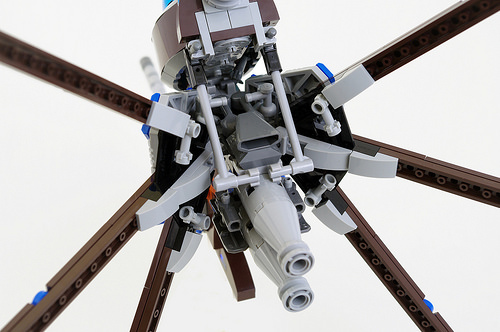 It’s got a cockpit just large enough for a single minifigure–or is it a minibug? Despite the clean, aggressive-looking front, the builder has worked in some great greebling in back with a much more old-school approach to engine technology.